Most airplanes ARE a generic shade of white with a simple stripe and a logo, and there’s a perfectly good reason behind the boring color scheme: paint makes airplanes heavy. That said, some airlines choose to sacrifice a few extra available pounds to make their aircrafts pop with some cool liveries. 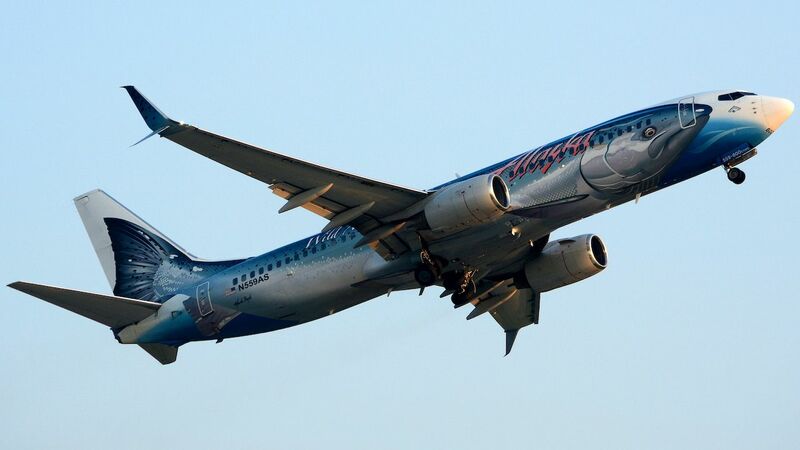 Whether a cool paint job is meant as an eye-catching way for airlines to get a message across, a partnership with a major amusement park, or a tribute paid to a person or a group, these airplane liveries are some of the most colorful and fun you’ll spot in the United States’ skies. Talk about arriving in high style. 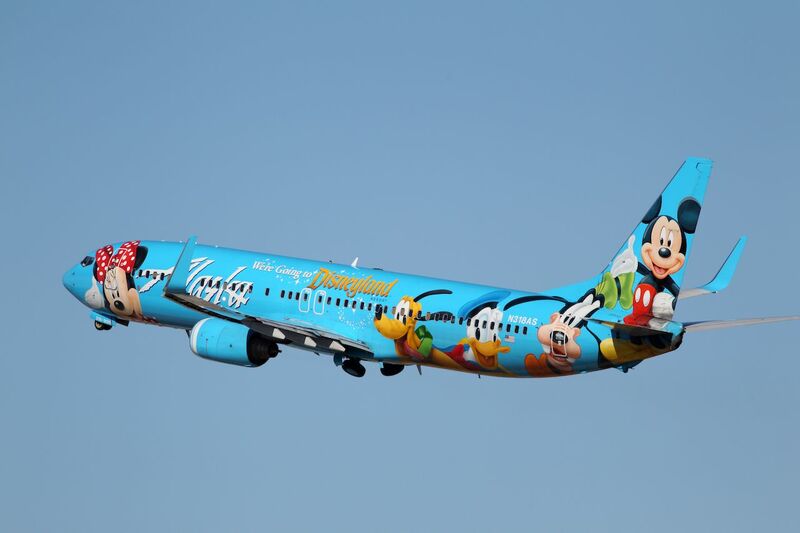 For your next trip to Disneyland in California, see if you can swing a ride on Alaska Airlines’ Boeing 737-900 — decked in an all-out Disney-themed livery. According to Alaska Airlines, “The Spirit of Disneyland II’s livery features Disney characters Mickey and Minnie Mouse, Pluto, Goofy, and Donald Duck in tribute to our long-term partnership with Disneyland Resort.” There’s also an “Adventure of Disneyland Resort” livery featuring the movies Cars and Cars 2 and a 737-800 wrapped to mark the release of the Disney-Pixar film Incredibles 2. Frontier, a low-cost airline based in Denver, Colorado, features a different animal on the tail of each of its planes. 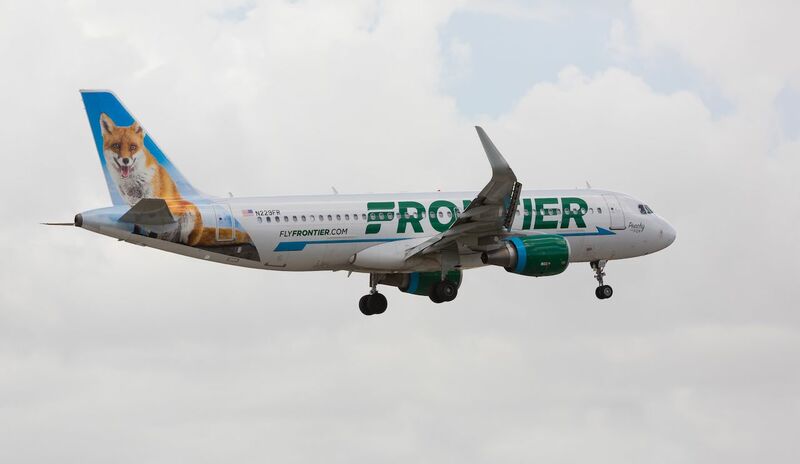 The story of Frontier’s tail animals is part of the fun of flying the budget airline; on various planes, you’ll find characters like Jack the Rabbit, Cliff the Mountain Goat, Flo the Flamingo, Mia the Dolphin, and Sunny the Collared Lizard. In the past, Frontier has held a contest to give its employees the chance to name the animals. A poster of the tail animal is also posted on the inside of each plane to welcome passengers as they board. 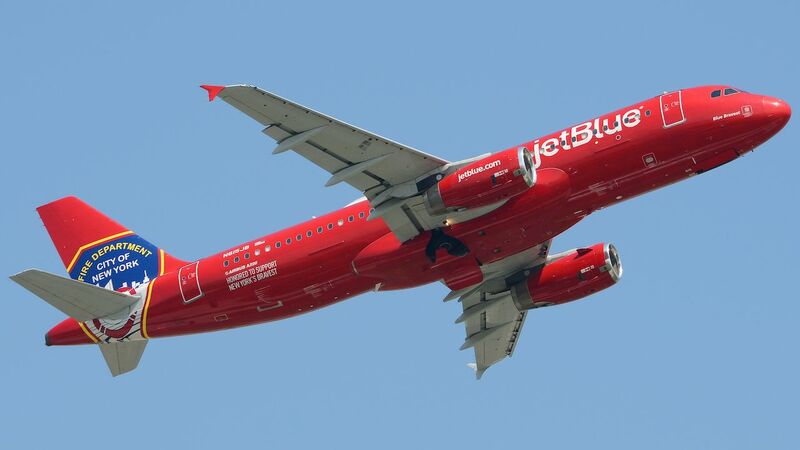 JetBlue’s seeing red, but for a great cause: this allover wrap on an Airbus A320, officially named the “Blue Bravest,” is painted in the colors of the New York City Fire Department (which, confusingly, is red) as a tribute to the brave first responders who serve the airline’s home turf. Other special liveries by JetBlue include planes adorned in the colors of sports teams like the New York Jets, and even an “I Love New York” tourism promotion. You may head to Alaska hoping to see an Alaskan king salmon making its way upstream — and avoiding the awaiting jaws of a hungry bear — but chances are slim you’ll spot one that’s 129 feet long. That is, unless you fly on the “Salmon Thirty Salmon II” livery by Alaska Airlines. The extravagant salmon paint job was produced in partnership with Alaska Seafood Marketing Institute, an organization that promotes wild, natural, and sustainable Alaskan seafood, and is complete with fish scales on the winglets and the airline’s logo scrawled across the fuselage in a bright salmon pink. The Eskimo livery adorning the tails of the rest of the Alaska Airlines fleet is another meaningful choice paying homage to the airline’s home; the face is no specific historic or public figure, but is meant to represent any member of the traditional Inuit and Yupik communities and could easily resemble someone’s uncle, grandfather, or family friend. 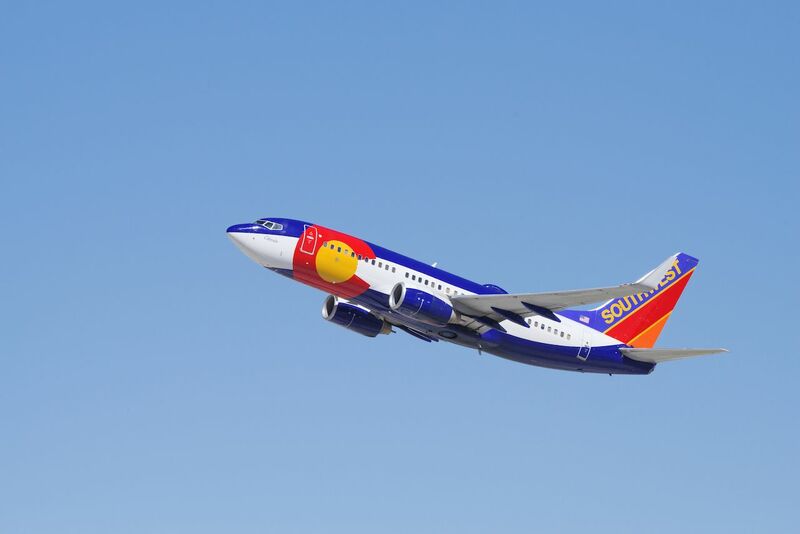 Southwest Airlines’ “Colorado One” livery is painted in the colors and style of the Colorado state flag to mark the strong and lasting relationship between the airline and the state of Colorado. Southwest runs hundreds of flights in and out of Colorado airports every day, but also has liveries that celebrate other states, including Florida, Arizona, Illinois, and Texas. Fun fact: “Colorado One” has a special placard at the top of the forward entry doorway, as it just so happens to be the 5,000th Boeing 737 ever built. 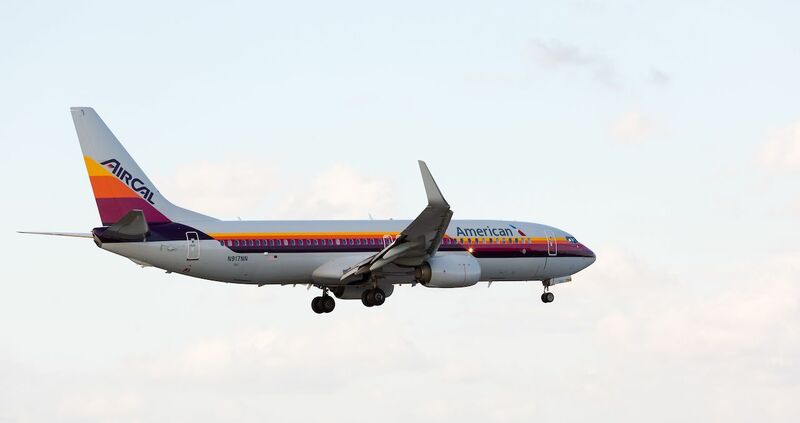 The “Heritage Plane” paint jobs in the American Airlines fleet pay homage to now-defunct airlines — such as US Airways, TWA, America West, Piedmont Airlines, and Pacific Southwest — that rolled under the American Airlines umbrella after the airline conglomerate acquired them in major mergers. This Boeing 737 proudly displays the retro livery of AirCal, which began as Air California in 1967 and was purchased by American in 1987. 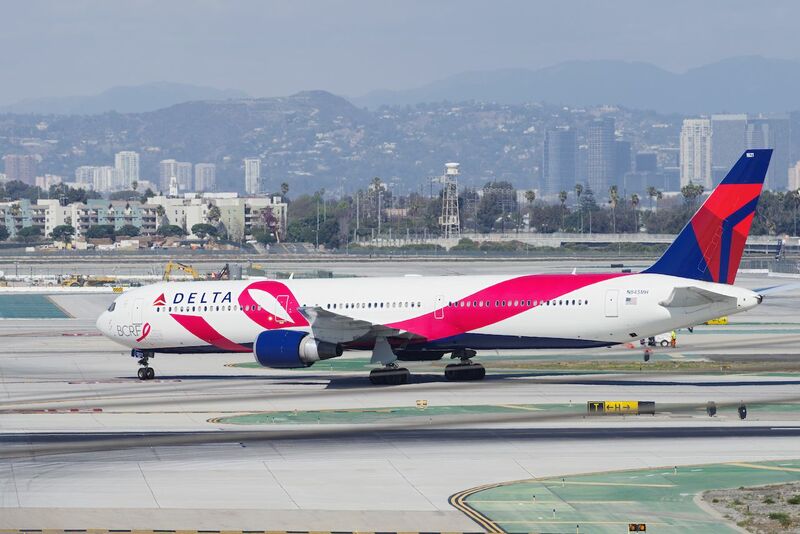 In support of the Breast Cancer Research Foundation, Delta Airlines wrapped a Boeing 767-400 in a swirling pink ribbon and joined the fight to find a cure and spread awareness of breast cancer. Dubbed “Breast Cancer One,” the plane embodies Delta’s commitment to fighting this disease. Each October, Delta kicks off Breast Cancer Awareness Month with an employee survivor flight, and crew members wear pink uniforms and sell pink products (such as pink lemonade and pink headsets) on board.